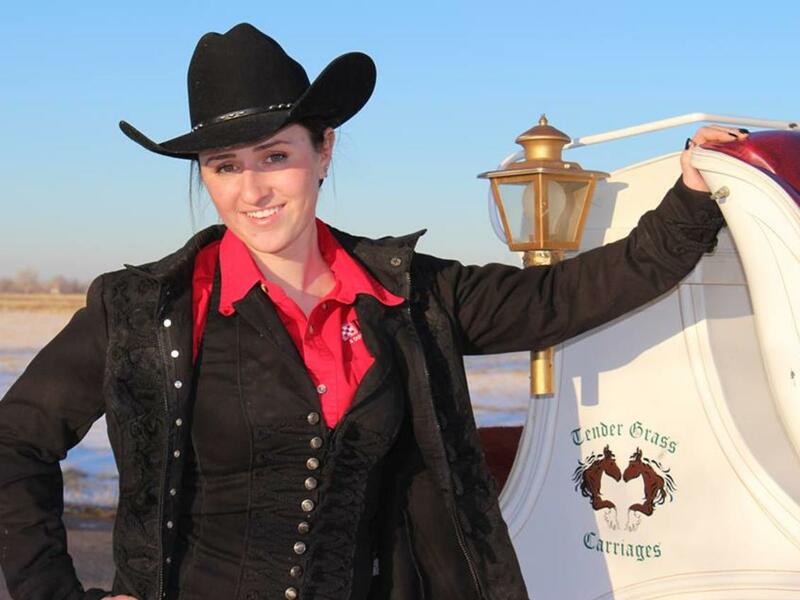 “Growing up in Golden, when I was younger, I used to look forward to riding on the Christmas carriages in Golden, so now it’s a real thrill to have my own carriage company and give other people rides in my home town,” says Margaret Blaha, owner of Clear Creek Carriages. 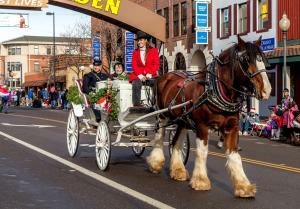 The town of Golden will be offering free horse-drawn carriage rides from noon to 3 p.m. on Saturdays and Sundays, Dec. 1-2, 8-9, and 15-16. Margaret will be driving the carriage with Wallace, a Clydesdale, and Sonny, a Paint horse, through the historic backstreets of the town. She started her carriage company five years ago in Nebraska to earn money for college, and now has brought the family business to Golden where her father and mother both help out. 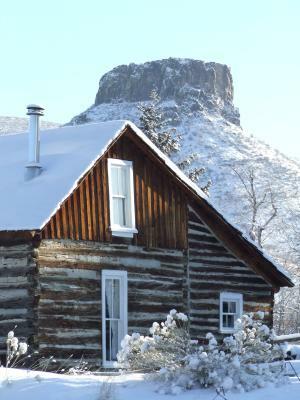 In fact her mother, Barb Warden, is a historian and goes along on historic carriage tours, telling the fascinating history and folk stories of Golden as the carriage clip-clops past the Golden History Park, down main street, past the Golden Mill, and around many historic Victorian buildings. Margaret begins her perfect day in Golden with a cup of coffee at the Windy Saddle. Her day job is working at the Horse Protection League (HPL) http://www.thehorseprotectionleague.org/, a non-profit organization dedicated to rescuing, rehabilitating, and rehoming equines. Their goal is to find a “forever” home for all of their horses, which come to HPL for many reasons, either being surrendered by their owner, donated by humane societies or abandoned. Most of their horses find permanent homes with new families. For lunch, Margaret doesn’t think anybody could make pizza as good as Woody’s, and she also loves Golden City Brewery with their changing array of food trucks. “My dad has been going there since it opened, and so it was always special to go with him on Friday nights and fill up his growler for the next week,” she says. She also likes the Old Capitol Grill & Smokehouse. Please stop down between noon and 3 p.m. on Dec. 1-2, 8-9, 15-16 at 12th St. between Washington and Arapahoe to meet Margaret, Wallace and Sonny and enjoy a free old fashioned carriage ride in historic Golden.